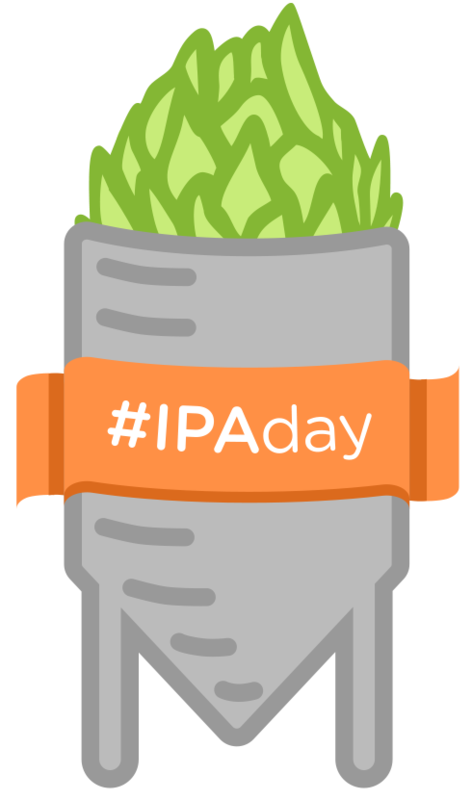 Get ready for IPA Day! Vote for your Favorite Local IPA! And more IPA fun! Some writers have argued that “the IPA era is over,” but numbers [like ball] don’t lie: in its “Year In Beer: 2014” report, the Brewers Association noted that “IPA is up 47 percent by volume and 49 percent by dollar sales, accounting for 21 percent volume share of craft and 23 percent dollar share of off-premise beer sales. Additionally, the style was the number one entered category at the Great American Beer Festival®.” “Everyone expects it to slow down, but it’s shown incredible growth,” noted BA economist Bart Watson. After you vote [limit one per customer; the ballot will close on Sunday], we’re looking for your input for a Big Picture IPA post! On 8.6.14 in the late, lamented Providence Phoenix, we crowd-sourced a piece titled “Hail to the hops: Beers to savor on IPA Day,” asking beer industry folks to choose their current and all-time favorite IPAs [plus a double/imperial hop bomb], and the best Rhody-made IPA. We’ll be hitting ’em up again for their 2015 selections [check your inboxes] — and invite you, dear reader, to play along. Send your faves [with brief descriptions re: why you chose them] to bottlescansclaphands@yahoo.com [please don’t post ’em in the Comments section or on Facebook; we want to share ’em en masse in next week’s post]. One other guideline: it will better serve the residents of State of Rhode Island and Providence Plantations if your choices are readily available in our little corner of the US, which will make it easy [and fun!] to assemble a mix-a-six [or 12]. OK, get voting and e-mailing! The post[s] will run on Tuesday and/or Wednesday! • Sunday, August 16 will be a busy afternoon for beer enthusiasts. The opening-soon Pizza J, the “pizzeria and more” from the folks at Julians [967 Westminster St, Providence], will host the 5th Annual Pints For Paws, a fundraiser for the Providence Animal Rescue League. The mission statement: “Save animals one pint at a time!” There’s a VIP tasting session from 1-3 pm [$30] featuring Revival, Trinity Brewhouse, Foolproof, Brutopia, Ravenous, Narragansett, plus Ballast Point, Clown Shoes, Baxter, Uinta, Two Roads, Jack’s Abby, Lagunitas, Sixpoint, Firestone Walker, and the crew from Nikki’s pouring some specialties. If you’re not up for sampling, there’s an after-tasting party from 3-6 pm [$5], with a bar “powered by Revival Brewing and Narragansett Beer” [100% of the proceeds go to PARL], food from Pizza J and the Julians smoker, raffles, DJ Anglace, and more…And Federal Hill Pizza in Warren [495 Main St] will present East Bay Tasting Day. The event runs from noon-5 pm and features samples from the Bucket, Grey Sail, Narragansett, and Revival, plus Berkshire, Jack’s Abby, Lagunitas, Saranac, Shipyard, and more. Donation is $10, with a portion of the proceeds benefiting Chefs Feeding Kids. • Foolproof Brewing’s third annual Augtoberfest will heat up Pawtucket this Saturday [8.1] from 2-4:30 and 5:30-8 pm. The bash is packed with music, food trucks — and beer, including the fest’s namesake Märzen [which is in stores now in four-packs of tallboys]. If you opt for Jester status [$25], you get two beverage tickets and a branded plastic cup; Prince [$35] = three tix and a glass stein; or live like a King [$45] and enhance your package with a $5 food voucher and a four-pack sample to-go. Prost! • Reminder: You have two more opportunities to get a pint or two of Joint Custody, the “nouveau Pilsner” by the brewmasters at Otter Creek and Jack’s Abby. Kegs will be tapped on Thursday [7.30] at Pour Judgement in Newport and on Friday [7.31] at Doherty’s Ale House in Warwick…And the Lagunitas is still flowing at the tap takeover at Norey’s in Newport. The Folk Fest crowd kicked the CitruSinensis keg, but the seven other offerings are available. Check our post from 7.20 for details. • Brew York is the source for “Premium New York City Beer News.” It’s run by Cranston native Chris O’Leary, who now calls Brooklyn home. On Tuesday, he posted “Beercation: Rhode Island” — a cool compendium of our breweries, bars [including a nod to Dave’s Bar & Grill], and a bit of miscellany [with a shoutout to our modest little enterprise]. Read it and share it! On Monday, the Brewers Association, the alliance of small, independent, and traditional [debatable/relative terms, but that’s a discussion for another day] beer makers, marketers, distributors, and peripheral biz peeps, released their mid-year report. The standout stats: from January through June 30, approx. 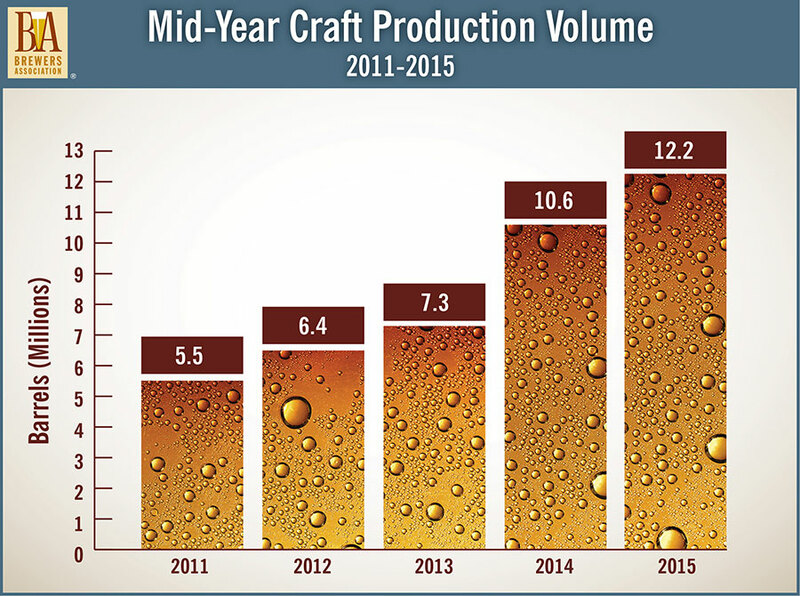 12.2 million barrels were sold by crafters, up from 10.6M in the first half of ’14. There are 3739 breweries, up 699 from 6.30.14 — and there are 1755 breweries on the drawing board. BA chief economist Bart Watson said, “The continued growth of small and independent brewers illustrates that additional market opportunities and demand are prevalent, although competition in the sector is certainly growing and the need for brewers to differentiate and produce world class high quality beer is more important than ever.” The press release is here. • 35% of adults 21 and older say they’re more interested in trying an adult beverage labeled craft. Among men 21-24, that figure jumps to 46%. • Local is most important to the youngest group of beer aficionados [those 21-34]. In fact, 53% of beer drinkers in this demo say local is very or somewhat important. If we look at just craft beer drinkers, the preference for local is even higher. Go to Nielsen.com to read the complete report. Well, it’s been 8 months, 15 different beers, multiple beer fests, LOTS of growlers, blizzards, floods, oysters, and many, many Saturday afternoons at the brewery since we opened and we’re finally taking a minute to catch our breath and say “hi.” When we were planning Tilted Barn Brewery we hoped to get off to a good start but never imagined the whirlwind that has ensued since our opening day back in November. We wanted to take a minute here for a quick update and talk about what’s in the works here at The Barn. For those of you that we see almost every week, thanks! We’ve made some great connections and look forward to seeing you guys every Saturday. For those of you that haven’t made it down yet, we hope to see you soon. We are normally open every Saturday from 1-4, unless there’s a Brew Fest somewhere that day. 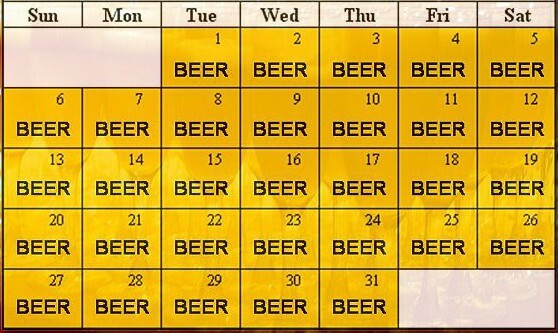 We keep our Facebook and Twitter pages, and this website up to date every week on our hours and what’s available for growler fills. Our biggest challenge so far has been keeping up with demand. Don’t get us wrong, this is a great problem to have but is something that we focus on all the time. We were initially hoping to do tastings and growler fills at the brewery twice a week and get on tap at a few local bars/restaurants. This obviously hasn’t happened. We weren’t anticipating such big crowds and literally don’t have enough beer to be open more than once a week, let alone to send out for draft accounts. We’re working on it though…more on that below. We’re happy to say that even with the big crowds on Saturday we generally keep the lines and wait time to a minimum (sorry for the 2-hour wait to those of you here on opening day!). So, on to the question we get asked all the time: “When are you going to expand?!”. Since we want to keep this update (relatively) short, the quick answer is soon. Very soon hopefully. We’re starting work on the barn in a couple of weeks actually to make space for new, bigger fermenters, a revamped tasting room area, and a hop drying space. Once that work is done we’ll be able to get some bigger tanks in there to increase production. Trust us, nobody is more excited than we are to get to that point. As we get a better handle on the timeline we’ll be sure to keep you guys updated. Once we increase production we plan to expand our tasting room hours and potentially get on tap at a few locations around the state. Time will tell. In the meantime, we’ll keep seeing you guys every Saturday afternoon and will do our best to keep up with demand. Thanks for being patient. Alright, time to get back to work. Thanks again to everyone for all of your support. There’s a LOT of work that goes into each and every batch from start to finish but we’re enjoying every minute of it, mostly because of the great feedback we’re getting from you guys. Thanks. Great news from Exeter! Cheers, folks! 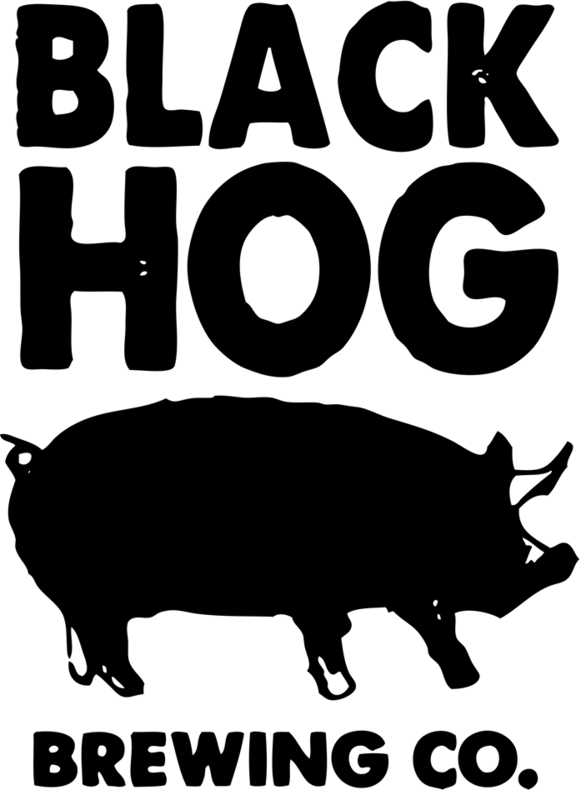 Black Hog crosses the border; new brews news; and more! 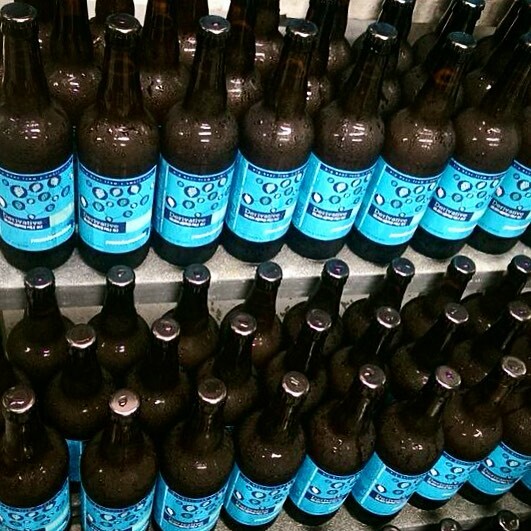 And dig into the B&C archive to read the posts about Crooked Current’s win in the 1st Annual Favorite Rhode Island Brewery Poll and our “Get To Know Your Brewer” Q&A with CC’s Nichole Pelletier. 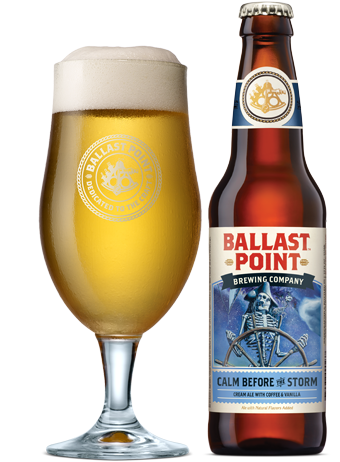 • New brews news: Ballast Point’s extraordinary portfolio has been flying off shelves since they returned to the state in February. This week, two more beers from the San Diego brewery will be flying onto shelves: Indra Kunindra, a Curry Export Stout bursting with South Asian flavors [Madras curry, cumin, kaffir lime leaf, and toasted coconut [7%, in 22-ounce bottles]; and Calm Before the Storm, a Cream Ale made with cold-brewed Caffé Calabria coffee and vanilla [5.5%, in six-packs]. Both are limited releases, so plan accordingly…Smuttynose’s Finestkind IPA is now available in cans…More goodness has arrived from the Brooklyn-based gypsy brewer Evil Twin Brewing: Falco IPA [7%] and Bikini Beer [American IPA, 2.5%]. There are also extremely limited quantities of Even More Jesus [Imperial Stout, 12%] and Imperial Doughnut Break [Porter, 11.5%], so start making real nice with your bestest beer store proprietor.